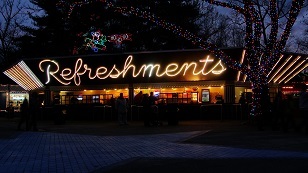 Kennywood offers a vast range of food and beverage selections! See the list below to learn more about what each venue has to offer. Kennywood now offers an All Season Dining Pass as an add-on for existing Season Pass holders. 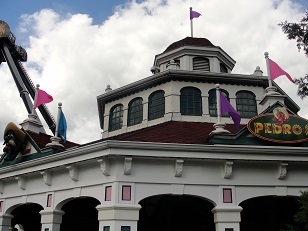 See the Dining Pass page on Kennywood’s site for the official list of stands on the pass and which meals are available. 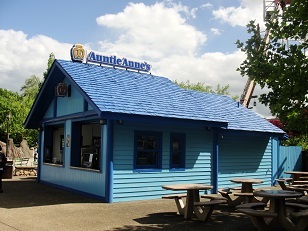 Located next to the Pirate, this stand serves up Auntie Anne's famous soft pretzel treats with a variety of flavors. 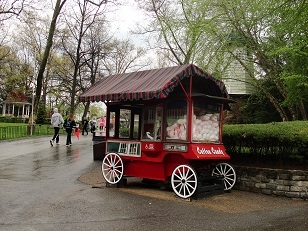 Freshly-prepared cotton candy can be found at this wagon just inside the entrance to the park. A second cart can also be found across from the Golden Nugget. 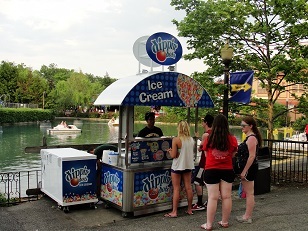 “The Ice Cream of the Future” is a popular amusement park treat and can be found at multiple locations throughout the park. 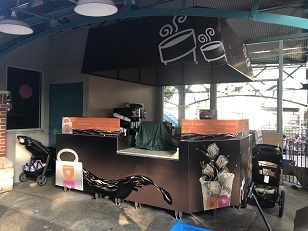 Grab a warm or cold specialty drink from this familiar stand at Garfield's Nightmare. 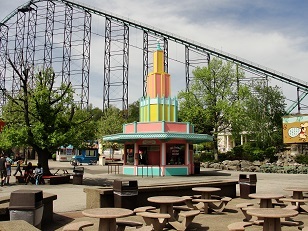 Located right next to the Kiddieland entrance, the Golden Nugget Dip Cone is another Kennywood culinary tradition. Enjoy a premium vanilla ice cream cone dipped in chocolate and rolled in crushed peanuts or sprinkles and topped with a cherry. 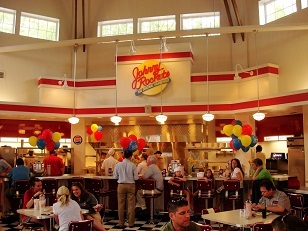 Within the climate-controlled shelter of the park’s historic original carousel building, guests are able to sit down in a classic diner atmosphere while enjoying many menu items such as burgers, melts, chicken, appetizers, and desserts such as milk shakes. This air-conditioned store is probably the first thing guests see upon emerging from the tunnel entrance. The Kandy Kaliedoscope is home to all kinds of delicious sweets, including caramel and candy apples, homemade fudge, a variety of chocolates, hard candies, gummies and cold bottled drinks. 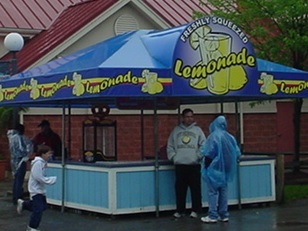 Refresh yourself with fresh-squeezed lemonade and other drinks near the Potato Patch and Thunderbolt. Located between the Potato Patch and Noah’s Ark, the Lucky is an iconic building that has lasted for decades. 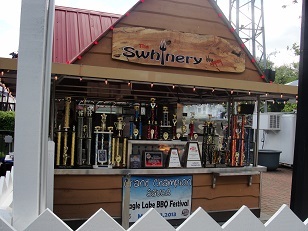 This stand is home to corn dogs, funnel cakes and cold drinks. 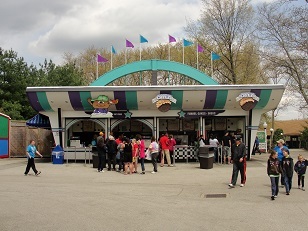 This classic stand near the Jack Rabbit is home to the park’s signature Philly Cheesesteak Sandwiches, corn dogs, hot dogs, popcorn, pretzels, cold drinks and bottled water. Cool off on a hot day with your customized slushy, where you get to combine as many as eight different flavors. Need to top off your slushy when you aren’t near the Slush Factory? A refill stand can be found next to the Aero 360. 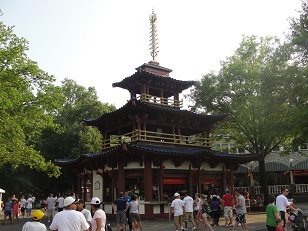 You can’t miss the iconic Pagoda between the Parkside Café and Kiddieland! 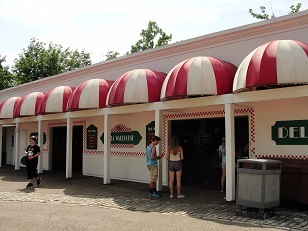 Inspired by a similar structure at Tivoli Gardens in Copenhagen, this stand is home to the park’s famous hot sausage with onions and peppers, chicken tenders, soft serve ice cream and hot fudge peanut parfaits. 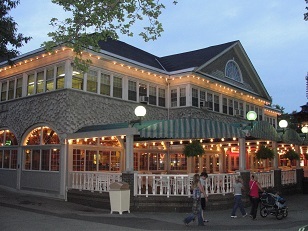 Designated a Historic Landmark by the Pittsburgh History and Landmarks Foundation, this restaurant has served Kennywood since the very beginning. The Parkside Café serves fresh hot and cold meals including pastas, sandwiches, chicken, salads and more. This large, centrally-located restaurant that includes both an air-conditioned dining room and an outdoor patio. 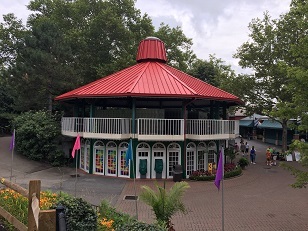 Now located in Lost Kennywood, Pedro’s offers tacos, nachos and other fresh Mexican-style cuisine made to order along with cold drinks and bottled water. Just across the Lagoon bridge next to Kiddieland and behind the Golden Nugget, Pizza Warehouse is home to freshly-baked pizza, whole or by the slice, hoagies, fresh salads, cold drinks and bottled water. 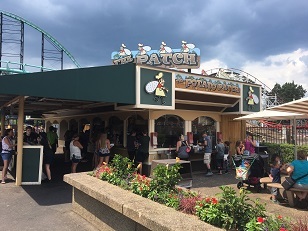 No visit to Kennywood is complete without the world famous Potato Patch fries! Its signature fresh cut Idaho potatoes have been a Kennywood-must have for over 40 years. Toppings include cheddar cheese, bacon, brown gravy and more. 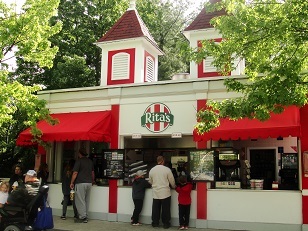 Found in Lost Kennywood, Rita's offers various "cool treats" such as flavored Italian Ice, Frozen Custard, Gelati, and more. 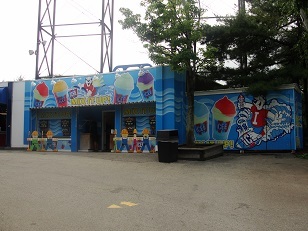 In 2015, a second location opened next to the Racer. 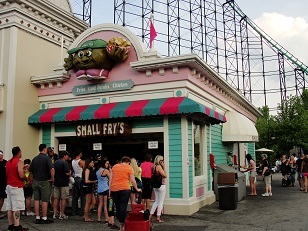 This small stand next to the Lost Kennywood gift shop has long been a second venue for the park’s famous Potato Patch fries. Visit Small Fry for fresh cut Idaho potatoes, chicken strips and a cold drink. New for the 2017 season, Small Fry is a gluten-free stand! 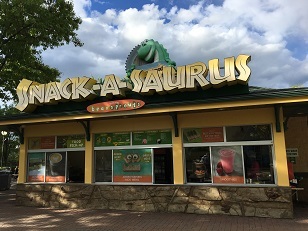 Right in the heart of Kiddieland, this snack stand is a convenient location for Mom or Dad to find cold soft drinks, juices, milk and healthy snacks like veggie dippers and hummus to keep the little ones going without all the sugar. Starting in 2017, this stand will offer the award-winning Beansprouts menu filled with healthy kid's meals. This retro-style venue near the Log Jammer is home to two separate stands in one building. Look to the left for Spudz, the third location for the park’s famous Potato Patch fries, along with chicken tenders, Poutine Patch fries, and the Potato Patch Burger. 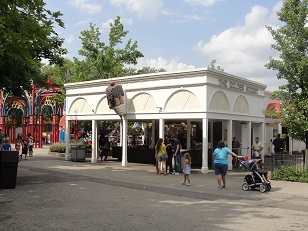 Sweet treats can be found on the right with delicious funnel cakes and deep-fried Oreos. Located across from the Aero 360, this outdoor patio area is the place for freshly-grilled BBQ favorites including pulled pork , brisket, ribs, and chicken. Sides include grilled corn on the cob, baked beans, cornbread muffins, mac and cheese, and cole slaw. Don't miss the chili and loaded nachos! This art-deco corner stand across from Noah's Ark is home to this deluctable dessert venue hailing from New York City; the company's first location outside of the state. 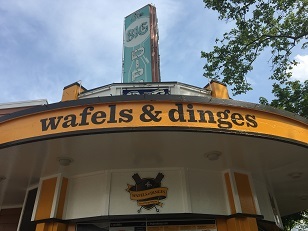 Guests can pick from a wide variety of gourmet Belgian "wafels" and then add various toppings or add-ons called "dinges" [ding-uhs] to their taste, or select from a menu of existing specialties. I’m confused. I was hired to work @KP the first year the Kandy Kaleidescape opened, in 1981. This says the 1970’s. It was a big deal because it was the only air conditioned place (besides offices). Even the managers had to go through the training to learn how to make the fudge. When we created the Food page, we tried our best provide accurate dates for when each location opened. In the many of these cases, we have used the year the building was constructed. In the case of a building becoming home to a different venue, we tried our best to locate an exact opening year for that venue to use in its place (for example, Pedro’s replacing Fish and Chips, which opened in 2002). In the case of the Kandy Kaliedoscope, we were unable to find an exact year when we created this page, so we chose to stick with the year the structure was built. Thank you for clarifying this for us! Went To KW yesterday. Lemonade stands were closed……Why would this even be an option? KW is nothing without their lemonade. Please assist me in finding out why such a glorious place would be closed. I’m looking for the name of the restaurant of the 1960’s in K ennywood? Heard the promo on the KDKA TV news about Kennywood’s gluten-free food options for the 2017 season, but was disappointed to learn it’s just fries & a bottle of water. I think you can do better. According to the website, the chicken tenders and fries at Small Fry’s are all gluten free.